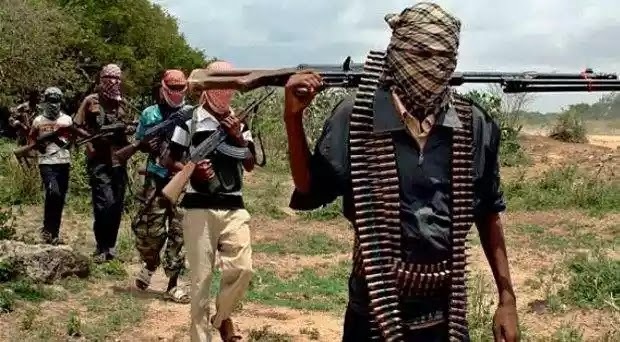 The Federal government has revealed that it is set to continue the trial of suspected terrorists in October, Premium Times reports. Trial of various cases of alleged terrorism were suspended since the annual vacation of judges across the country began in July. But on Sunday, the Attorney-General of the Federation and Minister of Justice, Shehu Malami, said the trials will now begin on October 9. 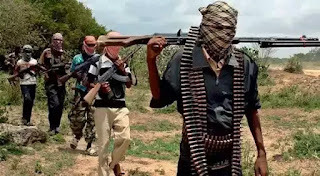 “All is now set to begin the arraignment of suspected Boko Haram suspects in various detention facilities in the country,” he said through a statement by his media aide, Salihu Isa. According to the statement, Mr. Malami has approved a list of prosecutors to handle the cases, while the Legal Aid Council has also released a list of defence counsel to stand in for the detainees/defendants. “The proposed prosecutions of over One Thousand, Six Hundred (1600) detainees held in Kainji will commence by early October, 2017 after the opening of the new legal year. “Currently, four (4) judges have been deputed by the Chief Judge of the Federal High Court to sit on the cases at Kainji and dispose of them expeditiously. “It is expected that the special prosecutions will start with the detainees in Kainji followed closely by the disposal of the cases of the detainees in Giwa Barracks, Maiduguri until the cases are exhausted”. The statement added that 13 terrorism cases had so far been concluded, from which nine convictions were secured. The statement said there were 33 terrorism cases already taking place in courts across the country. The statement said 33 cases are ongoing trials at various Federal High Court divisions, while 116 charges had been filed and are awaiting trial in Kainji. It said 220 detainees had been recommended for release and deradicalisation for want of evidence. “Detainees profiled at the Kainji detention facility awaiting judicial proceedings and deradicalisation programme are 1,670. The statement highlighted the challenges of the trial to include poorly investigated case files due to pressure during the peak of conflict at the theatre, over reliance on confession-based evidence, lack of forensic evidence, and absence of cooperation between investigators and prosecutors at pre-investigation stages. According to the statement, the Office of the National Security Adviser is expected to help by providing the deradicalisation programmes where necessary. “This is the report of the on-the-spot assessment of the facilities and other incidentals preparatory to the commencement of trial of the over 1600 suspected Boko Haram terrorists detained in a military detention facility located in Wawa Barracks, Kainji, New Bussa, Niger State following successes recorded by the Nigeria Army and other security agencies in the fight against terrorism in Nigeria. According to the statement, the various suspects have been categorised into four different groups. “Boko Haram suspects who were hitherto investigated by the Joint Investigation Team set up by the Defence Headquarters otherwise known as DHQ/JIT and case files transmitted to the Honourable Attorney-General of the Federation and after a careful review of the cases based on their individual merit, it was discovered that they have no prima facie cases that will sustain a charge against them in any court of law, hence were recommended for release and handed over to the Office of the National Security Adviser (ONSA) for rehabilitation and/or de-radicalisation. “The second category is the set of suspects that the Honourable Attorney-General found prima facie cases against them and charges already filed at the Federal High Court, Abuja Division who are also mostly in the detention facility under reference and may be willing to plead guilty for a lesser sentences. “The other category are the suspects whose case files are either recommended for further investigation or that have no investigation conducted on them at all hence they do not have case files that will warrant the Honourable Attorney General of the Federation to form any opinion in respect of their case.